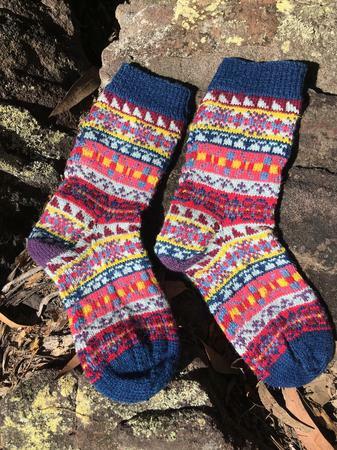 This Fair Isle sock designed by Kate Wallace uses traditional patterns and yarns dyed with natural dyes in colours that would have been used in Shetland. 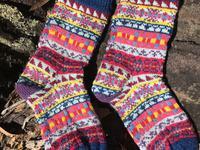 The dyes include red from cochineal, yellow from weld, and blues from woad and natural indigo. 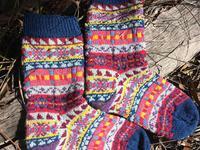 All of the motifs are simple to follow and no more than two colours are used in any row. The result looks much more complex than it is. and the 8 naturally dyed colours needed to complete the pattern. 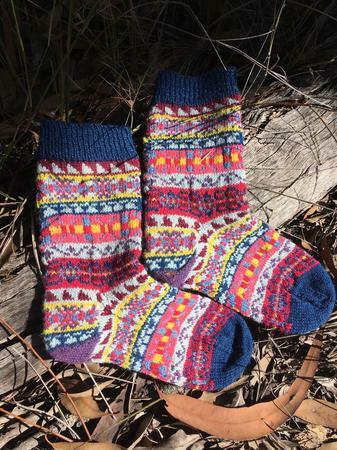 You will receive a link to download the pattern in your order confirmation email.